The world-class greenhouse facility, currently under development at the University’s Hawkesbury Campus, is a partnership between the University and Horticulture Innovation Australia (HIAL). With a bold vision is to enhance national and international food security for an energy and water constrained future, this new facility will help Australian growers tap into the latest research and practices within greenhouse crop production to make their operations more efficient, and meet the increased demand for fresh food that can be delivered quickly to markets. The facility will have a strong education and training focus, working in partnership with industry partners to provide a student experience which produces career-ready graduates through involvement in engaged learning, projects and research in their studies. Why is the Western Sydney University Greenhouse unique? The Greenhouse RETF will enable unprecedented control of temperature, humidity, CO2 and light to deliver higher productivity while lowering energy and water inputs. Based on a design from the Wageningen University Research in The Netherlands, the Greenhouse will provide high levels of control over humidity, temperature, light and CO2. This facility – the first of its kind and scale in Australia – will allow researchers to test multiple conditions affecting the growth of plants in protected crop environments. The results of this research will be increased crop yields and lower costs to both the producers and the environment. The nearest known equivalent greenhouse research facility is located in The Netherlands,at the Wageningen University Greenhouse Horticulture Research Institute (WUR). To ensure a state-of-the-art Facility design, Western Sydney University has partnered with experts from WUR, Dr JC (Sjaak) Bekker and Dr Silke Hemming, for consultation and advice as to the most appropriate design and construction for the University Greenhouse Research Education and Training Facility. This partnership with WUR creates an opportunity for Western Sydney University to position itself as a national leader in greenhouse horticulture research and education. This partnership will include staff and student exchanges, joint supervision of postgraduate research students, and assistance from WUR to develop training and education resource material. The Greenhouse Research Education and Training Facility Industry Consultation Committee (ICC) provides strategic direction to the research and education programs, as well as providing input into the design phase of the Facility. The ICC consists of eight to twelve members, including representatives from the two main stakeholder organisations (Western Sydney University and HIAL), influential leaders from tertiary education, vocation and training, government, business, communications and/or community sectors; who are committed to contributing to the Facility’s objectives. The ICC is Chaired by Mr Graeme Smith from Protected Cropping Australia. Integrated studies, analysis of overall system productivity, sustainability, efficiency. The research team of Prof. David Tissue, Zhonghua Chen and Chris Cazzonelli are excited to drive new research areas to advance horticultural research within the Australian climate. The training of qualified, forward-thinking graduates is crucial to ensure that Australia has a bright future in the Agriculture sector. In collaboration with industry, the Western Sydney University Greenhouse RETF will provide a quality education program in the agriculture space. Western Sydney University has committed to refresh and renew the way in which it offers and promotes ‘agriculture’ to provide a new, robust suite of agriculture and associated units, majors, sub majors, minors and courses that will offer students the opportunity to enter careers that meets global needs and student interest. While the research program will generate new management practises and technologies, a training and education centre will also be established as part of the project to assist industry in building a future skilled workforce. 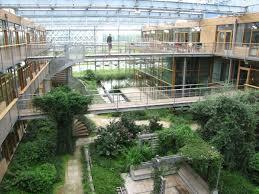 The Greenhouse RETF will be an icon for peri-urban agriculture research, education and training at the University. The research, education and training carried out at this facility is expected to result in a large number of partnership opportunities for UWS, resulting in collaborations with the protected cropping industry, TAFE, related government agencies and regional, national and international communities.